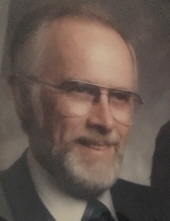 Kenneth D. Hammon, 87, formerly of Fulton passed away on November 22, 2018 in Illinois. Born in Decatur, Illinois on October 4, 1931, he was the son of the late Dwight Hammon and the late Lucille (Herring) Baysinger. On October 1, 1954, Ken was united in marriage to Barbara (Taylor) Hammon. She survives his passing. Growing up in Guthrie, Missouri, Ken graduated from Fulton High School in 1950. He served in the Korean Conflict as a Master Sergeant until 1953. Ken also served in the Army Reserves prior to active duty and afterwards. He and his wife, Barb, moved to California in 1958, raising their daughter, Diane, until they moved back home to Fulton in 1981. Ken was an active member of VFW Post 2657 in Fulton where he was instrumental in establishing the Color Guard and Honor Guard. Those that knew Ken would tell you he was as genuine as the come, kind, and compassionate. In his last few days, Ken maintained his charm and wit, and by chance, on a good day, that grin we all loved. There are no words to express his family’s sadness or how much he will be missed. Ken loved and adored his family and friends including his wife of 64 years, Barb; daughter, Diane Brislan and her husband Bob; grandson, Eric Hoogveld and his wife Shannon; and great grandchildren, Ava and Michael. A memorial service will be held at 11:00 a.m. on Wednesday, December 5, 2018 at Maupin Funeral Home in Fulton with Pastor Bruce Williamson officiating. Friends will be received from 10:00 a.m. until the time of service at the funeral home. Inurnment will be in Missouri Veterans Cemetery in Jacksonville. Memorial donations are suggested to The Parkinson’s Foundation, c/o Maupin Funeral Home, 301 Douglas Boulevard, Fulton, MO 65251. To send flowers or a remembrance gift to the family of Kenneth D. Hammon, please visit our Tribute Store. "Email Address" would like to share the life celebration of Kenneth D. Hammon. Click on the "link" to go to share a favorite memory or leave a condolence message for the family.